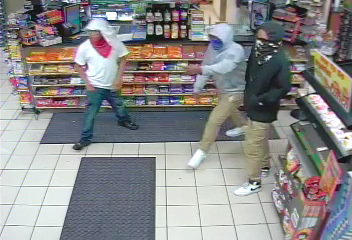 TROY, IL -- 4/15/2017 -- A joint investigation with O’Fallon, Troy and Maryville police departments is underway in reference to three service stations being robbed at gun point. The incidents occurred in the early morning hours of April 15. Stations that were robbed include the O’Fallon MotoMart, located at 8401 US Highway 50; Troy Circle K, located at 536 Edwardsville Road; and the Maryville Casey’s General Store, located at 2101 South Center Street. Suspect #1 - a skinny black male between 5’8” – 5’10”. 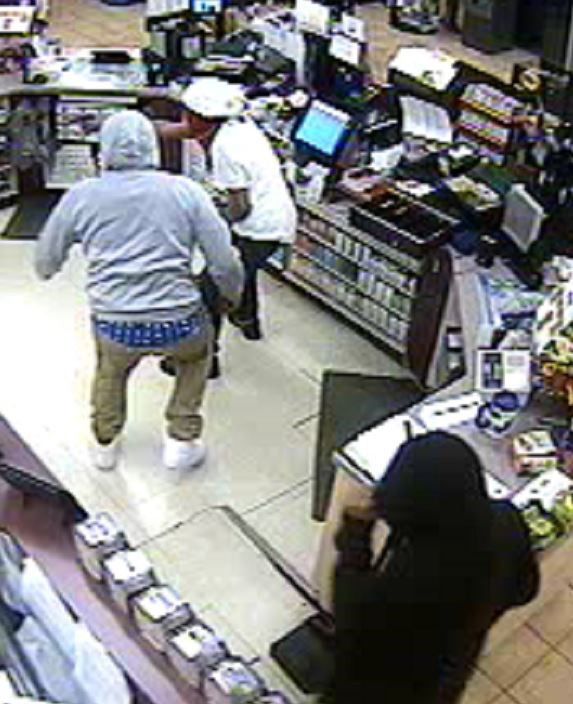 He was wearing a white shirt, dark jeans, red bandana around the lower portion of the face, white shirt wrapped around his head and black shoes. This suspect was armed during the time of the incidents. Suspect #2 - a heavy set black male between 5’7” – 5’9”. He was wearing a gray sweatshirt, khaki pants, blue bandana around the lower portion of the face and white shoes. Suspect #3 - a skinny black male between 5’10” – 6’”. He was wearing a black sweat shirt, khaki, black bandana around the lower portion of the face, and white and black shoes.